This is a story about an easily ignored, lonely mute cannon. It was already 160 years old in 1915. Then it sits “here” immobilized for ANOTHER 101 years. And it was ignored on its 100th anniversary of sitting here. This is written as of 2016. The Muzzle points north west towards the triangle of the Three Rivers, now known as Pittsburgh, this cannon’s intended destination. Robert Y Conrad, the man who gave a speech dedicating this Braddock Cannon by telling the story of the Braddock Expedition Disaster, is shot in the head 3 years later in the trenches of Meuse-Argonne Offensive which ended WWI. That same day, October 8, 1918, the famous Alvin York single handedly captures 132 Germans. Our man who gave the speech was dragged to safety by German prisoners. (But according to local historian Ben Ritter, an Arthur Daniel Boone pulled Robert Y Conrad back into the trench after Conrad got shot in the head by a sniper) . He died the next day from the head wound. The man who used to own this land before selling it to the city? Affectionately and reverently known as Captain Kurtz. A headline on the front page of the Winchester Star states Captain Kurtz is ill on the day this cannon was memorialized. Captain Kurtz was a member of the Daniel Morgan Rifleman group. Think about that- A local militia group enlisting in the War between the States used the name of a revolutionary war hero. And one of their uniforms survives … at the archives in the Handley Library. That Revolutionary War hero, Daniel Morgan? He gained two lifelong injuries in this area from the French and Indian War. While a wagoneer for the Braddock Expedition dragging cannon to attack Fort Duquesne (the one above was left behind in Alexandria) sustained a flogging from a British Officer because of some altercation in camp. A bullet shot by an Indian chasing him while he was in Captain Ashby’s group. He recuperated for days at Fort Edward (now Capon Bridge WV) from that ballet crashing behind his left jaw and coming out near his mouth. Years later a portrait by Charles Willson Peale, who painted the first known portrait of George Washington, shows that scar. Click on portrait to enlarge. Look to the right of his nose above his lip. You will see a trace of the scar from that wound. Parked in silent anonymity, this cannon hides in the open, at what is commonly called Washington’s Headquarters, NE Corner of Cork and Braddock Street in Winchester VA. Here is its story. There is a lot here. Feel free to skip around and read pieces. This page was inspired by Chapters VIII and IX and X of Katherine Glass Greene’s “Winchester Virginia And Its Beginnings 1743-1814”, first published in 1926. Chapters VIII and IX and X of Katherine Glass Greene’s “Winchester Virginia And Its Beginnings 1743-1814″ describe a big event at what she called Washington place – what we now call Washington’s Headquarters or Washington’s Office in Winchester VA. Whether it really was either a headquarters or an office or neither was researched by Garland R. Quarles, author of “George Washington and Winchester VA 1748-1758, A Decade of Preparation for Responsibilities to Come,” 1974, published by Winchester Frederick County Historical Society. Next time when you stop by at this quiet corner of Cork and Braddock streets, think of this moment in 1915 when the whole town showed up along with visiting dignitaries and the Society of Colonial Dames and a parade to it including some of the first cars in America. On the same day, 27 May 1915, the Winchester Evening Star reported a German “Zeppelin attacked Southend-on-the-sea, 40 miles east of London, shortly before midnight and dropped a score of bombs. For ten minutes the Zeppelin circled over the town, dropping explosives and incendiary bombs but made off when the aeroplanes rose.” America had not yet entered the war and won’t until another two years. And Charlie Chaplin visits Winchester later in the week. Look for the one cannon on a stone foundation with an inscription tablet inset on each side: The one aiming its sight towards the northwest, towards what was Fort Duquesne, now Pittsburgh, the object of Braddock’s Expedition. What is the Braddock Memorial? This is not a still photo. Navigate with your mouse or touch screen to move around this place or zoom in or zoom out. Katherine Glass Greene who was known as Katherine R Glass at the time, wrote some of the articles for the Winchester Evening Star. Most of the Evening Star articles before and after this Braddock Memorial commemoration are reproduced in her book, “Winchester Virginia And Its Beginnings 1743-1814”, first published in 1926. Below is that famous photo of those girls on that day of The Braddock Memorial commemoration, holding up the Braddock Sash. Here are their names as Katherine Glass Greene on Page 57 of “Winchester Virginia And Its Beginnings 1743-1814”, lists them, presumably from left to right: Colleen Hughes Glass, Mary Greenway Russell, Virginia Tayloe Boyd, Judith Braxton McGuire, Ellen Fauntleroy Baker, Susan Davis Lougheed Carson. The Winchester Evening Star, 26 May 1915, front page lists the parents of these children. Click on all photos to enlarge and then backspace key to return here. The cannon itself came from the City of Alexandria to Mount Vernon Chapter of the Daughters of the American Revolution (DAR) and finally to Society of Colonial Dames who wanted to mark the Braddock Trail in Alexandria and Winchester. Behind those girls is that cannon affixed on a stone monument built by George W Haines and his son, G. Reginald Haines, containing a different inscription on both sides. Read the story of that sash held by those children – the Story of Braddock’s Sash. shows the Braddock Monument where the girls once stood. The same house in the background is still there. Its side porch was modified to being partially enclosed. the ruins of the Old Lutheran Church at Mount Hebron Cemetery. This photo was taken Sunday January 3rd 2015. On the inlaid tablet facing east on the “Braddock Monument”, are the names of the localities from which the ten historic stones are taken, listed below. There are more than 10 stones used here, but the exact 10 stones are not marked. 1. The Blue Ridge, whose summit was reached in 1716 by Governor Spottswood and his Knights of the Golden Horse Shoe. 2. The Shenandoah River, “the daughter of the stars,” the shining natural highway of the splendid Shenandoah Valley. 3. The Shawnee Springs, where once stood the village of the Shawnees, and of whose waters, if one drinks, one must return to drink again [editor’s note, this area is in Winchester’s Jim Burnett Park and Shenandoah University campus]. 4. Jost Hite’s Fort at Bartonville built in 1750 [ed note, according to this link, the year might have been 1738]. 5. The Old Opequon Presbyterian Church yard, containing some of the oldest monuments in the Valley. The church was organized in about 1738, in full view of the VAlley Pike at Kernstown, and has stood in the pathway of the armies of every war in which Virginia has participated. It has yielded to the ravages of fire and has been twice rebuilt. 6. Glen Burnie, the home of Colonel James Wood, which has already been described, and where stood on the lawn the first clerk/s office. 7. Greenway Court, the home of Lord Fairfax. There Lord Fairfax died in 1782, and from there his body was carried in a hearse brought from Alexandria to be buried in the Episcopal churchyard in Winchester. 8. The grave of General Adam Stephen at Martinsburg. When Major-General Adam Stephen [ed note: Adam Stephen was a Lt Colonel under Colonel Washington during the French and Indian War] came to meet General Braddock at Winchester on his way to Fort Duquesne, his daughter, Susan Stephen, accompanied him on horseback. Colonel William Dandridge fell in love with the charming girl in the red riding habit and they were married. Their home, “The Bower.” on the banks of the Opequon in Jefferson county, West Virginia, became a renowned center of hospitality. Their son, Adam Stephen Dandridge, married Miss Sarah Pendleton. They were the grandparents of Miss Mary Spottiswoode Buchanan [ed note: Mary Spottiswoode Buchanan lived on 116 N Braddock St with Bettie Taylor Bliss Dandridge who was President Zachary Taylor’s daughter and who took the place of her mother as mistress of all public White House functions], who contributed so much to the success of the celebration in Winchester, and to whose generosity and patriotism was due the distinctive honor of having at the unveiling the famous sash to which General Braddock was borne from the field of battle. 9. Fort Loudoun, built by General Washington [ed note: at the time Washington was actually Colonel and overall commander of Virginia force in the French and Indian War] in 1756. The southwestern bastion is still standing. [ed note: This bastion was just the built up ground.] A well, more than a hundred feet deep, and cut through solid limestone, gave the fort and independent supply of water [ed note: it took 2 years to dig this well and no spring was hit and by then the war with the French was over, although native American attacks did continue]. So effective did Fort Loudoun preach the gospel of preparedness that its eighteen-pounders, twelve-pounders, swivels and howitzers were never fired to repel a hostile attack. 10. The ruins of the old Lutheran Church in Mount Hebron Cemetery. This church was founded in 1764 and was destroyed by fire from some unknown cause on the night of September 27, 1854. Braddock himself came to Winchester, but his army travelled north of town. Braddock had business to conduct. He was waiting for the Indians promised. And wagons promised. And horses promised. The Virginia side didn’t really come through as they provided less in both quality and quantity. But Ben Franklin saved the day. In his prime at 49 years old, he met Braddock, aged 60, at Frederick, Maryland. orders to Cressop the Agent at that place to make use of that opportunity of conveying to Fort-Cumberland the flour which the Government of Pensylvania had delivered there, it being much wanted at the Fort. Source is from Orme’s Journal in “The history of an expedition against Fort Du Quesne, in 1755; under Major-General Edward Braddock ..” by Sargent, Winthrop, 1825-1870, edtion 1856, bottom of page 308. Source is from Aide de camp Robert Orme’s Journal in “The history of an expedition against Fort Du Quesne, in 1755; under Major-General Edward Braddock ..” by Sargent, Winthrop, 1825-1870, edtion 1856, page 314-315. Where did the cannon come from? Now we know the origin story of the stone foundation, but what is the origin story of this cannon? In 1915, the Society of Colonial Dames of America in the state of Virginia chose as their objective the marking of the Braddock Trail in Virginia. Two cannon left at Alexandria, Virginia, in 1755, were given by the city of Alexandria to the Mount Vernon Chapter of the Daughters of the American Revolution, who in turn presented them to the Society of Colonial Dames for the laudable purpose of marking the trail at Alexandria and Winchester. The committee appointed by Mrs Benjamin Purcell, of Richmond, Virginia, chairman of the Braddock Memorial committee, consisted of Miss Rose MacDonald, chairman of the Alexandria committee; Miss Katherine R Glass, chairman of the Winchester committee. Were cannon left behind in Alexandria in April 1755 and if so why? Braddock was getting impatient waiting on wagons, horses, supplies, Indian allies. There is a time goal to meet, before the season gets too late. And if there aren’t enough wagons and horses, they are just going to move what they have and reach their destined time and place. And the need to go now is because of the grand plan of hitting many locations all at once, Fort Duquesne, and points up north. We can infer from the chaos of moving, and the delays, and the lack of wagons, boats, transports, that some cannon were left behind when we read Orme’s Journal in “The history of an expedition against Fort Du Quesne, in 1755; under Major-General Edward Braddock ..” by Sargent, Winthrop, 1825-1870, edtion 1856, bottom of page 307. The General at Rock Creek called for a return of the stores [ ed. note: ripe for mistakes, oversights] , and gave orders for such as were most necessary to be first transported, and for some of the provisions, ordnance, and hospital stores to be left there [and some of those were cannons ], the wagons coming in so slow as to render it impossible to convey the whole to Fort Cumberland in proper time. It was above a month before the necessary Ammunition and stores could be transported from Rock Creek to Conegogee, and as the Patomack was not then navigable, even by the smallest Canoes, new difficulties arose in providing Waggons to send them to Fort Cumberland ; proper persons were sent to the justices of peace of those Counties, and at last by intreaties, threats, and money, the stores were removed. And, who gave the 2 cannon to the city of Alexandria? No answer to this yet. Still researching. They then gave it to the Mount Vernon Chapter of the Daughters of the American Revolution, who in turn gave the 2 cannon to the Society of Colonial Dames which more particularly the Society of Colonial Dames of America in the State of Virginia, who then presented one of the cannons to Winchester VA .
And which Society of Colonial Dames? The organization [National Society Colonial Dames of America] was founded in 1891, shortly after the founding of a similar society, the Colonial Dames of America (CDA) [in 1890] . The main difference between the two is that the CDA was created to have a centrally organized structure under the control of the parent Society in New York. The NSCDA was intended as a federation of State Societies in which each unit had a degree of autonomy. You will see the name of Mrs James Lyon mentioned by Katherine Glass Greene as coming here to Winchester VA to inaugurate the unveiling of the Braddock cannon memorial. Mrs James Lyon inaugurated the unveiling of a Braddock cannon memorial the day before in Alexandria too. This organization is affiliated with the National Society Colonial Dames of America . The cannons have since been moved. One — a three-pound fieldpiece known as a “grasshopper” — is the centerpiece of a monument at the intersection of Braddock and Russell roads. Below is not a still photo. Navigate with mouse or touch screen. This is another ignored cannon hiding in plain site of a busy intersection at Braddock and Russell in Alexandria VA. The artillery piece sits upon a pedestal of cobble stone taken from the streets of Old Town. Drivers rushing through the busy intersection of Russell and Braddock roads hardly notice the structure. Sister Braddock Cannon in 1915 on Russell and Braddock in Alexandria and is still there today. The donor of the monument was (and is) The Colonial Dames of America. Founded in 1890, members trace direct ancestry to leaders in the 13 colonies. Today’s confederation of 44 corporate societies grants scholarships and literary awards and undertakes local historical and educational projects. Braddock’s cannon was a project of The Colonial Dames of America in Virginia. Neither Keith D MacKay, executive director of the Colonial Dames of America in Virginia, nor S Scott Sholz deputy direct of The Colonial Dames of America’s national headquarters in Washington DC could provide details of the monument and its dedication ceremonies in 1915. Taken from a newspaper for that day 26 May 1915: A larger gathering clustered about the intersection of unpaved roads at 3 o’clock in the afternoon. Mrs James Lyon of Richmond, great grand-daughter of Patrick Henry, acted for the president of The Colonial Dames of America in Virginia in accepting title to the cannon from the Mount Vernon Chapter of the DAR and presenting the memorial to Mayor Thomas A Fisher. The principal address was given by Samuel J Graham, assistant attorney general of the US. The Rev William J Morton, rector of Christ Church, delivered the Invocation and the Rev Dr S A Wallis, Episcopal Theological Seminary of Virginia, gave the benediction. Also attending were Mrs Joseph Lamar, national president of The Colonial Dames of America, and a squad from the Alexandria Light Infantry who fired a volley. 100 Years later the townsfolk of Alexandria remembered this lonely cannon hiding out in the open of a busy intersection, an intersection that was once dirt road as shown in photo above. Alas, Winchester did NOT remember 100 years later its lonely cannon. Tuesday, May 26, 2015 at 3 p.m., exactly 100 years to the minute, the City of Alexandria and the Society of Colonial Dames of America in the State of Virginia rededicated the Braddock Road Cannon monument at the intersection of Braddock and Russell Roads. “This monument marks the trail taken by the army of General Braddock which left Alexandria on April 20, 1755, to defend the Western Frontier against the French and Indians. “The cannon used here was abandoned by General Braddock at Old Alexandria, April 1755. More Abandoned Cannons in Alexandria VA ? The Braddock Cannon Fountain Memorial is documented here in the History Marker Data Base link. On May 26,1915, they dedicated the monument situated where Braddock and Russell roads intersect today. They unveiled the monument, hidden behind a Virginia flag and a British flag, and presented it to Mayor Thomas A. Fisher. The mayor acknowledged the work of the women saying, “the woman behind the man behind the gun made success possible, or, on the other hand, soothed the pangs of defeat.” The cannon, seen in this photograph taken around 1917, was mounted atop of a base of cobblestones collected from Alexandria’s streets and cemented together. Marble tablets on two sides record the significance of the cannon and the route that Braddock’s army took on its way out of Alexandria. Another Braddock cannon was converted into a drinking fountain and is located in the 100 block of North Royal Street. Click on source for quote above. That Drinking Fountain Braddock Cannon is located right here next to Gadsby’s Tavern Museum and Restaurant: Click on this link and you can use your mouse or touch screen to navigate around the area. The cannons have since been moved. One — a three-pound fieldpiece known as a “grasshopper” — is the centerpiece of a monument at the intersection of Braddock and Russell roads. Another was transformed into a drinking fountain for humans and horses and is near Gadsby’s Tavern. (It no longer dispenses water.) There’s a Braddock cannon in Winchester, Va., too. The marker at Hampton, Virginia, was erected in 1916. Source Page 58 from Katherine Glass Greene’s “Winchester Virginia And Its Beginnings 1743-1814”, first published in 1926. This is a naval cannon. This is the point where Keppel brought the Army of the Two Regiments, 44th and 48th, the seamen and engineers that accompanied Braddock on land who knew how to use pulleys to lift heavy ordnance on to wagons and cross rivers. See this Historical Marker Data Base link . Click on link: February 17, 1926 photograph of the monument to British General Edward Braddock, whose army disembarked at that location in 1755 on their way to attack Fort Duquesne (a French fort near modern-day Pittsburgh) during the French and Indian War. It was located at the end of Victoria Avenue (now Victoria Boulevard) near the Hampton River in Hampton, Virginia. In particular, let’s get back to 27 May 1915 event celebrating the Braddock Memorial Cannon. Those involved had suggested other locations for this cannon, this Braddock Memorial. Rouss City Hall was one location. The other was Daniel Morgan grave site in Mount Hebron Cemetery. “Major Holmes Conrad, who was ill at the time, and who died September 4, 1915, suggested General Daniel Morgan’s lot in Mount Hebron Cemetery” as the location of this cannon mounted on the stone which is called the Braddock Memorial. Major Holmes Conrad was the father of the main speaker at this event, Robert Y Conrad. But the committee decided “Washington place” would be the better spot. The committee wisely chose the connection of Washington over Daniel Morgan. Washington was closer to Braddock as aid de camp rather than Morgan who was lower in the hierarchy running wagon supplies. Mrs Benjamin Purcell, of Richmond, Virginia, chairman of the Braddock Memorial committee … visited Winchester and was received with enthusiasm. The Town Council offered its choicest locations. Major Holmes Conrad, who was ill at the time, and who died September 4, 1915, suggested the General Daniel Morgan lot in Mount Hebron Cemetery, but the committee on selection, Messrs Robert L Gray, Shirley Carter and Alexander T Jones, appointed by the Common Council, decided that Washington Place, facing Braddock Street, would carry out the idea of marking the exact trail, and for that reason the site named was decided upon. They wanted a symbol to mark the Braddock Trail. The truth ? The real Braddock road traveled by Braddock’s army was north of Winchester going through Clearbrook areas and Lake St Clair (named after the head engineer of Braddock’s). Braddock himself did come to Winchester, and some of his aids and officers did too, but the army itself travelled north of Winchester VA. But who knows if by 1951, had that cannon been located at Daniel Morgan’s gravesite, maybe Cowpens SC might not have come for Daniel Morgan’s remains. They thought Winchester did too little to honor Daniel Morgan. Their statues and memorials are much more impressive than Winchester’s memorial to Daniel Morgan at Mt Hebron Cemetery. See Life Magazine article. Winchester did win the legal tussle to keep Daniel Morgan’s remains. Judge Robert K Woltz wrote a detailed and enjoyable story about his and Winchester’s defense of Daniel Morgan staying, and appropriately, the Judge is buried next to Daniel Morgan in the Mount Hebron Cemetery in Winchester VA. Corner of Cork and Braddock Streets. This is what they called Washington’s Place to which we now call Washington’s Office or Washington’s Headquarters. Quarles on page 61, in his research in book cited below, states “…local tradition that Cork Street was named for County Cork in Ireland because so many people of Irish descent lived on that street appears doubtful to us, “ and proceeds to debunk that tradition proving not many Irish lived on that street, but more importantly the street was named before anyone lived there. The local tradition based on Irish living on Cork Street is seen in Katherine Glass Greene’s book, page 123. But maybe the local tradition was based on another reason. Braddock’s 44th and 48th Regiments embarked on the Atlantic Ocean to Virginia from the Cork area of Ireland particularly what was then called Cove of Cork, now called Cobh, Ireland. As Quarles points out this Cork Street “was named in 1759 when the Lord Fairfax Addition was laid off and the name assigned before patents were issued” as proof that no way could the name have arisen because Irish lived on the street because the street was named before anyone lived there. The memory of Braddock and his army and its fate and where the army came from – Cork, Ireland, is the most powerful reason why the name was picked. The West End London street of Cork Street connects to a Clifford Street. There is also a Clifford Street one block south of Cork Street in Winchester VA.
How the 2 streets are related Quarles entertains no guess. Still, we propose: Cork Street is not named after that West London Street. Nor is it named for County Cork, but rather the Cork area, in particular Cove of Cork where Braddock’s Troops came from. And as Cork intersects with Braddock, a beautiful, fateful symmetry appears. And what better place for this Washington Place to situate itself , and thus this Braddock Memorial, the cannon, at the nexus of Cork and Braddock. Winchester, Virginia, Streets, Churches, and Schools 1s6 Edition by Garland R. Quarles, published by Winchester-Frederick Historical Society, Winchester VA 1996, “Streets” portion originally published 1958. Side note: There were very short periods of time when maybe certain blocks of Braddock Street went by the name of Drury Lane in 1778 or Duffield Street before the McGuires took residence on 103 N Braddock states Garland Quarles. Cove of Cork was not just the last port of call for the Titanic in 1913 but the Lusitania got torpedoed on 7 May 1915 nearby, twenty days before this Braddock Memorial Commemoration Event in Winchester VA.
And on 26 May 1915, one day before the big event, the Winchester Evening Star reports The Nebraskan was torpedoed in the same area Lusitania was hit when heading towards Cove of Cork, aka Queensland and later called Cobh Ireland. To the right of that column is the article about the girls who hold the sash of Braddock whose 2 regiments the 44th and 48th departed from this harbor in January of 1755. Source: “The history of an expedition against Fort Du Quesne, in 1755; under Major-General Edward Braddock ..” by Sargent, Winthrop, 1825-1870, edtion 1856, page 290. Click on icons in map and a window will pop up with information . Zoom in or zoom out. So, Who were these troops and leaders leaving Cork Ireland? The quality of these troops from Ireland? The troops given him [BRADDOCK] for the American expedition were well suited to bring out every defect in his character; these were the fragments of the 44th and 48th regiments, then stationed in Ireland. Being deficient (even in time of peace), both had to be recruited up to five hundred men each. The campaign was unpopular and the recruits secured were of the worst type “who, had they not been in the army, would probably have been in Bridewell [prison]. Source, page 58-59 from Braddock’s Road and Three Relative Papers by Archer Butler Hulbert Published 1903 who sourced above quote from Walpole’s Memoirs of George II vol. ii., p. 29. also from London Evening Post Sept 9-11 1755. Their behavior once they got to Alexandria? And were any of these men the rebels of Culloden? That battle in 1746, only 9 years ago, (our 9/11/2001 was 15 years ago as of 2016) was still big in the minds of England and Scotland who only officially united its parliament in 1707, so the old Roman name of Britain had a new meaning, and a new flag. In the Scottish campaign of 1746. It may be noticed that these regiments were of the youngest in the service : only dating from 1741. The 49th was at this time the single regiment junior to the 48th. The uniform of the 44th was red faced with yellow; that of ‘the 48th, red faced with buff. But Sir Peter Halkett, leader of the 44th Regiment, was at Culloden. Sir Peter Halkett of Pitferran, Fifeshire, a baronet of Nova Scotia, was the son of Sir Peter Wedderburne of Gosford, who, marrying the heiress of the ancient family of Halkett, assumed her name. In 1734, he sate in the Commons for Dunfermline, and was Lieutenant-Colonel of the 44th at Sir John Cope’s defeat in 1745. Being released on his parole by Charles Edward, he was ordered by Cumberland to rejoin his regiment and serve again against the Jacobites. With great propriety, he refused such a dishonorable duty, saying that ” His Royal Highness was master of his commission, but not of his honor.” The King approved of Sir Peter’s course, and he retained his rank. On the 26th Feb., 1751, he succeeded to the colonelcy of his regiment. He was married to the Lady Amelia Stewart, second daughter of Francis, 8th Earl of Moray, by whom he had three sons : Sir Peter, his successor, who would also appear to have been in the army; Francis, major in the Black Watch; and James, a subaltern in his own regiment, who died with him on the 9th July, 1755. And finally what of the qualities of their leader, Edward Braddock? Carlyle House. It had been standing for only two years when Braddock arrived and made it his temporary headquarters. Owner John Carlyle, a wealthy Scottish immigrant and one of the town’s leading citizens, was not pleased. Ben Franklin was 49 years old at the time of helping Braddock. And so on this intersection of Cork and Braddock, we find the Cork Ireland area was the launching port of the ill-fated Braddock Expedition. Big night at the Evans Hotel, now the site of the Bank of Virginia on SE corner of Piccadilly and Loudoun. Out of town visitors coming for the event tomorrow stayed at this hotel. A colorized picture of Evans Hotel is shown here on the right. Evans Hotel was torn down in 1923. The George Washington Hotel , one block east, was built in 1924, the year after Hotel Evans was torn down. The George Washington Hotel replaced one of the Conrad homes sitting on that site. Then there was Hotel Jack located on 10 -12 W. Piccadilly. To the right is Shenandoah Valley National Bank which then became First Union, then Wachovia, now Wells Fargo. A dance was held here at Hotel Jack from 10pm to 1am the night before the big Braddock Memorial. Hotel Jack was torn down circa 1960. These were heady times for Winchester. The Handley Library was just built 2 years prior to this event. May 29, 1915 the Airdrome opens tonight. The Hables built it. It will be exclusively devoted to showing movies. See front page article on far left. Invocation, the Reverend J Horace Lacy, D.D. The Story of the Cannon, Miss Rose MacDonald. The Story of the Stones and the Presentation of the Presentation of the Memorial to Mrs Benjamin Purcell, Miss Katherine R Glass [author of this article in newspaper and later in her book]. Acceptance of the Memorial for the Society of Colonial Dames and Presentation to the city, Mrs James Lyons. The Unveiling, Little Misses Colleen Hughes Glass, Mary Greenway Russell, Virginia Taylor Boyd, Judith Braxton McGuire, Ellen Fauntleroy, Susan Davis Lougheed Carson. These held the Braddock sash. Benediction, the Rev William D Smith, D.D. Not a foot of space was available after the arrival of the procession of Washington Place. A sea of faces was uplifted to the cannon pointing northwest, and to the speakers, and the exercises were given rapt attention. [Ed. Note: Pointing North West? Why? but was left behind in Alexandria for lack of horse and wagon to drag it. To wait for more horses was just another delay. But back to the direction this cannon is pointing? William Pitt (15 November 1708 – 11 May 1778) . Pitt was the grandson of Thomas Pitt (1653–1726), the governor of Madras, known as “Diamond” Pitt for having discovered and sold a diamond of extraordinary size to the Duke of Orléans for around £135,000. Pitt was a British statesman of the Whig group who led the government of Great Britain twice in the middle of the 18th century. Historians call him Pitt of Chatham, or William Pitt the Elder to distinguish from his son, William Pitt the Younger, who also was a prime minister. Pitt was also known as The Great Commoner, because of his long-standing refusal to accept a title until 1766. At the close of the program the guests were escorted to the home Mrs Daniel B Conrad, at the corner of Water and Stewart Streets where a brilliant reception was held. Mrs Conrad was assisted in receiving by her daughters, Miss Bessie Conrad and Mrs Adam C Carson; by members of the Century Club, the Woman’s Civic League, the United Daughters of the Confederacy and the Red Cross. Source is Page 57-58 from Katherine Glass Greene’s “Winchester Virginia And Its Beginnings 1743-1814”, first published in 1926. This front page article, Winchester Evening Star, 26 May 1915, outlines the parade route going by Mary Spottiswoode Buchanan house on 116 N Braddock and Major Holmes Conrad, whose house is on 12 N Cameron St, dies later in the year and whose son is giving a speech for the Braddock Memorial unveiling. The parade also goes by Dr W P McGuire’s house. What is the connection of the Braddock Memorial and Braddock Sash to these parade route names in above quote? He is the father of the main speaker at this event, his son, Robert Y Conrad. See Robert Y Conrad’s speech on Braddock further on down this page. Holmes Conrad is sick and does not attend this event and dies some months later in September 1915. His son dies near Verdun in 1918 in World War I. Holmes Conrad was instrumental in establishing the majestic looking Handley Library down the street on Braddock and Piccadilly (having opened 2 years earlier in 1913) and Handley School, being the first President of Handley Board of Trustees. See link on Family Background page 620 of HISTORY OF THE Lower Shenandoah Valley published. 1890. Edward McGuire, Sr. , married the second time, Millicent Dobee being the lady, and by that marriage were born three children: Samuel, who never married; Susan, who married William Naylor, and one other daughter who married Capt. Angus McDonald, whose children were Angus, Edward and Millicent. Edward, the third son of Edward, and the grandfather of Dr. Hunter McGuire, of Richmond, Va., and Dr. W. P. McGuire, of Winchester, was a farmer by occupation, and at one time owned the McGuire Hotel of Winchester. He married Miss Betsy Holmes, and the result of this marriage was seven children: Rebecca, who married Dr. Mackey; Millicent, who married Mr. Alexander Tidball; Hugh Holmes, Edward, William, David and John. Edward McGuire died in 1828, and his wife March 28, of the same year. Dr W P McGuire’s son is involved with another type of unveiling a year later in the November 1916 unveiling of Confederate Statue in front of the 1840 Courthouse in Winchester VA.
She came to live with Bettie Taylor Bliss Dandridge, daughter of President Zachary Taylor, who bequeathed her home of 116 N Braddock St. upon her death in 1909. She was also living with Sarah Knox Wood who took ownership of the Braddock Sash and who died in February of 1915, just a few months before this Braddock Memorial event. The Braddock Sash had sat in a trunk in this home for years. Her name is Susan Davis Conrad, but the convention of the time until just recently is to address her as Mrs D B Conrad. She is the widow of Dr Daniel Burr Conrad who read the history book who nudged Bettie Taylor Bliss Dandridge to look for the Braddock Sash in her belongings. She finds it sitting at the bottom of a mahogany trunk of her father’s belongings. Her father? President Zachary Taylor. See article Pittsburgh Gazette Times, Sunday, October 12, 1913. See also a good schematic on the Conrad Family Ancestors. See good sketch of some members of this Conrad family. See Handley Library Archives photographs of Susan Davis Conrad. One of the many visitors are Judge and Mrs Adam C Carson (formerly Eleanor Conrad), of the Phillipine islands, the parents of Miss Susan Davis Lougheed Carson who is one of the girls holding the Braddock Sash in the photo shown on this page. This photo is from Handley Library’s Stewart Bell Archives, showing Winchester’s now defunct Shenandoah Valley Academy Cadets marching. You can see the date inscribed on it. Click on picture to enlarge. Hit backspace arrow to come back here. Then came the main address, the main speech: By Robert Y Conrad. Before getting to that speech, a little bit about Robert Y Conrad and his family. See Handley Library Archives ancestry link on the Conrad family. See Handley Library Archives pictures of Conrad family. Robert Y Conrad, the speaker at the commemorating of the Braddock Cannon, has a rather important father Holmes Conrad. Holmes Conrad lived at 12 N Cameron St, torn down in 1970 to make way for the Winchester Frederick County Courthouse. “Major Holmes Conrad, who was ill at the time, and who died September 4, 1915, suggested General Daniel Morgan’s lot in Mount Hebron Cemetery” as the location of this cannon mounted on the stone which is called the Braddock Memorial. Holmes Conrad with Judge Handley’s money made the project of Handley Library become real, 2 years before the Braddock Cannon event. Dr Daniel Burr Conrad, is the one who alerted Bettie Taylor Bliss Dandridge that she might have that Braddock Sash locked away in her house on 116 N Braddock St. See article. Other stories indicated Bettie knew all along she had the sash. See article. The Parade route was to go by Mrs D B Conrad’s house, widow of Dr Daniel Burr Conrad just mentioned above. Three years later Robert Y Conrad is mortally wounded charging out of a trench in the last big offensive of WWI near Verdun, the Meuse-Argonne_Offensive, on October 8, 1918 on the same morning and in the same battle where Alvin York gained fame. See find a grave link about Robert Y Conrad. See picture of Robert Y Conrad as a young attorney. These were busy times for Robert Y Conrad who went to Richmond VA to parade for Confederate Day June 6, 1915. The Women’s Civic League started by Helen Whlie aka Mrs Robert Y Conrad after 101 years has disbanded June 2016. See link. Handley Archive link to this picture -and caption – Woman indicated as “Me” is probably Helen Wylie Conrad, wife of Captain Robert Young Conrad. Date given as 1917. Filed under “116th Virginia Infantry” (the number is treated as if spelled out “One Hundred Sixteenth”). This speech was published in the newspapers and later in a book. The Winchester Evening Star published Robert Y Conrad’s speech on the Saturday and Monday following the Thursday 27 May 1915 Braddock Memorial unveiling event. See the following 4 links below. Katherine Glass Greene then republished this speech of Robert Y Conrad in Chapter IX pages 60 to 72 in her book, “Winchester Virginia And Its Beginnings 1743-1814”, in 1926, long after the speaker died in the Great War near Verdun Oct. 9, 1918. Robt Y Conrad part 1 published on front page of Winchester Evening Star Saturday 29 May 1915. Robt Y Conrad part 2 published in page 6 of Winchester Evening Star Saturday 29 May 1915. Robt Y Conrad epilogue published on front page of Winchester Evening Star Monday 31 May 1915. Robt Y Conrad epilogue 2 published on 2nd page of Winchester Evening Star Monday 31 May 1915. This is a long speech. No doubt the audience wearied by its length. But, it is a great overview and has some interesting anecdotes in it. Provided here are links to amplify, or correct the story. This was researched by a man destined to die, three years from now, in a war not yet involving America. Captain Conrad, the presenter of this main speech, who saw duty on the Rio Grande later, had died in action near Verdun in WW I in 1918. Picture credit: See Handley Library link. Caption in link: Robert Y Conrad (II – (1884-1918) as a young attorney. Date estimated as c. 1910. It is interesting that this was a time of great research on this event. 100 years later another jump in research occurred because EVERYTHING is going online, making it quite convenient to a person at home on a laptop to spot any error of research in the past. But what EVERYTHING online cannot accomplish is tone of voice. We also force on a time past what we know now. This affects our attempts at accurate comprehension. From CHAPTER IX of Katherine Glass Greene’s book, “Winchester Virginia And Its Beginnings 1743-1814” . Address of the Late Captain Robert Y Conrad at the Dedication of the Braddock Memorial in 1915. In the year 1673, a French subject, Pere Marquette, sailed down the Mississippi River and “took possession” of the entire river valley in the name of France. By the signing of the Treaty of Peace at Aix la Chapelle in 1748, France sought to perfect her title to this vast area, and at once set about the erection of a chain of forts extending from the Saint Lawrence River to the Gulf of Mexico, to defend it. These strongholds not only checked the growth and expansion of the English colonies, but actually encroached upon the territory claimed as part of Virginia. The English claimed this land because it was part of Virginia and also because it was conveyed to them by the Iroquois. Both the French and English claims could be plausibly maintained by force of argument; the real question was, which could be established by forces of arms. The French crossed Lake Erie in 1753 and built fortifications at Presque Isle, now Erie, Pennsylvania, and advanced toward the northern branches of the Ohio River. To protest against this movement, Governor Dinwiddie of Virginia sent Major George Washington, one of the Adjutant Generals of Provincial Militia, to the Commanding Officer of the French expedition, St Pierre. St Pierre’s reply was that the Marquis DuQuesne, Governor General of Canada would be notified of the protest and until he was heard from the French forces would remain where they were. 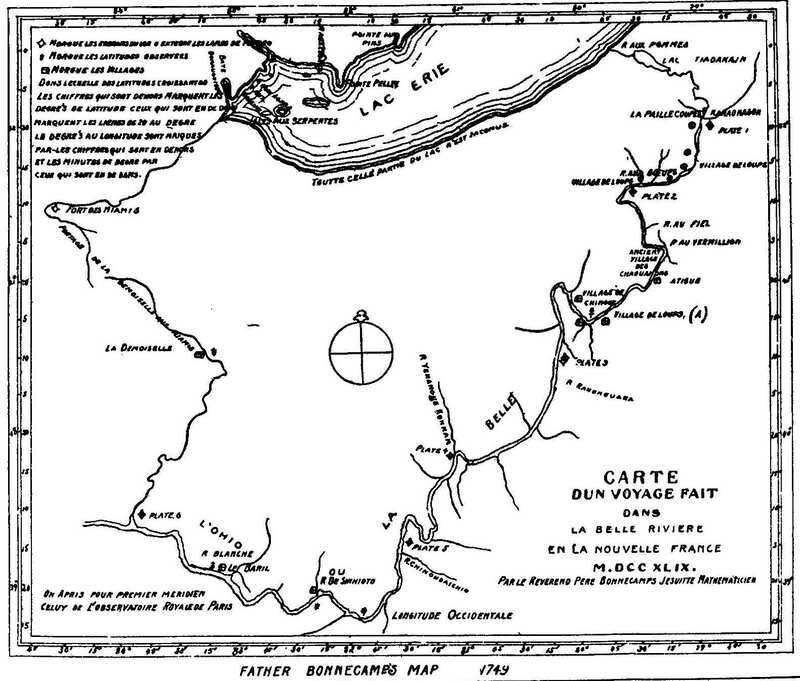 On his way to the French expedition Washington had noted the strategic importance of a point at the juncture of the Allegheny and Monongahela Rivers and had recommended its fortification. A fort was in course of erection when the French captured the place, completed its fortification and named it Fort DuQuesne. Washington heard of the French action and was also informed that a scouting party under Jumonville was advancing. He captured this force after a fight in Meadows where he threw up breastworks to which he gave the name “Fort Necessity.” After being attacked here for nine hours by a greatly superior force Washington withdrew, leaving the French in possession of the territory. Now back to Robert Y Conrad’s speech. The protection of the English colonies in America was the especial concern of the Duke of Cumberland, Captain-General of the British Army, and was a matter of the gravest importance to Parliament. The news of the fall of Fort Necessity spread a fever of excitement and activity throughout all of England. On September 24, 1754, Edward Braddock was commissioned a Major-General, and soon afterward embarked at Cork for America, [Ed. Note: earlier on this page it is proposed Cork Street, where the location of this event and of this speech is named after Cork Ireland for this reason ] with the 44th Foot under Colonel Sir Peter Halkett and the 48th Foot under Colonel Thomas Dunbar. They arrived at Hampton Roads on February 20, 1755, Braddock proceeding at once to Williamsburg, where he made his headquarters, and the army continuing up the Potomac to Alexandria. This movement was supported by the fleet of Admiral Boscawen, for whom one of our streets was named. He encountered and defeated a French fleet. Braddock was intrusted with the command of the entire British campaign, being appointed for the purpose, generalissimo of all the forces in the colonies. He had been a member of the Coldstream Guards for more than forty years: was a veteran of Colloden [Battle of Culloden], Fontenoy, Dettingen and was known as a famous disciplinarian and as an expert upon the technical practices of warfare. His whole experience being obtained in campaigns against enemies who followed the rules of war obtaining among civilized nations, Braddock never imagined that any oher principles of strategy could be effective. From the first he began his preparations for campaign precisely as he would have done were he then engaged against some European army. He seemed to expect that the roads and towns and even the very forests would be such as he had known in England. To drive the French from Nova Scotia. To dislodge them form their fort at Crown Point on Lake Champlain. To dispossess them of their fort at Niagara between Lake Ontario and Lake Erie. To drive them from the frontiers of Pennsylvania. The Deputy Quarter Master General, Lieutenant Colonel Sir John St Clair, arrived in America before Braddock, to inspect the field of operations. He made a tour of inspections with Governor Sharpe of Maryland and was horrified at the wild state of the country. In February 1755, he wrote from Cumberland to Governor Morris of Pennsylvania to have the road repaird toward the Youghiogeny River an; another opened from Philadelphia for the transportation of supplies. When St Clair had finished his inspection he went down Will’s Creek and the Potomac River 200 miles in a canoe to meet Braddock at Alexandria. Braddock was joined at Williamsburg by Commodore Keppel. There were two regiments of British regulars of the 500 men each, which wwere increase to 700 each by men selected by St Clair from the Virginia forces; artillery and munitions of war conveyed by Keppel. To this force Governor Dinwiddie assured Braddock there would be added about 400 INdians. There were assurances also thought from other sources that immense quantities of provisions, horses and wagons would be forthcoming at the proper time. Relying upon this Braddock proceeded to Alexandria. George Washington was at Mt Vernon while these reparations were going forward at Alexandria, and Braddock, hearing of his experience and knowledge of the country, invited him to accompany the expedition as a member of his staff. Washington accepted, and upon arriving at the camp, his first impression was one of amazement that the expedition should be trammeled with so huge an amount of baggage and paraphernalia. On April 20th, Braddock set out from Alexandria. He had been disappointed in the number of horses and wagons provided and in the quantity of provisions delivered to him. Washington had three horses knocked up before reaching Winchester and had to buy others, for which he had to borrow money from his old friend, Lord Fairfax of Greenway Court. The fact that Braddock traveled the whole way from Alexandria to Fort Cumberland in great state in a chariot purchased from Governor Sharpe added greatly to his discomfort, but at last realizing that he was not in a region fitted for such display he abandoned his chariot there and took to his horse. By the 19th of May, the forces were assembled at Fort Cumberland; they consisted of: Two Royal Regiments of Foot 1000 strong increase by Virginia levies to 1400; two Provincial Companies of Pioneers 30 men each; Troop of Virginia Light Horse under Captain Stewart; detachment of sailors consisting of 30 men; remnants of two New York companies. The Indians which Dinwiddie had led Braddock to expect, never arrived. The road from Philadelphia was not finished and the necessary forage and supplies had never been provided and there was a woeful lack of wack of wagons and horses. At last, however, the wagons and horses promised by Franklin came, and on June 10th, Braddock set out from Fort Cumberland with his aides, staff and light horse. Sir Peter Halkett had proceeded ahead three days before with his force and fort ten days 600 men under Colonel Chapman had been preparing a road supervised by Sir John St Clair. On the 16th, Braddock reached Little Meadows, and now seeing that the nature of the country was unlike that of any he had had any experience with, he called upon Washington for advice as to the best course to be persued. Washington saw the advantage of striking blow at Fort Duquesne, if struck swiftly. He advised dividing the forces. One division, of selected men, to push ahead with Braddock, the rest to follow on with the baggage, etc. Braddock for once followed advice. and with 1200 men selected from all the forces and carrying 10 field pieces, prepared to move forward. At Little Meadows Braddock was joined by the Famous Captain Jack and his rangers, who asked that he and his men be employed as a scouting party. Braddock refused. Washington urged as strongly as the proprieties would permit, that all the friendly Indians be employed as reconnoitering parties; this also Braddock refused, and indeed treated the Indians with such contempt that most of them deserted him. It was on the 19th, that Braddock set out from Little Meadows. He marched in the way he had been accustomed to march over the plains and roads of Europe and would not listen to any suggestion that his mode of procedure was unfitted for the wilderness. Braddock proceeded upon his way with so much pomp and circumstance that he only advanced 12 miles in four days. On June 25th the first ominous event of the enterprise occurred. Three men venturing beyond the line of sentinel were shot and scalped. Only July 6th several more men were shot and scalped. The attack upon Fort Duquesne was planned for the 9th. Braddock had taken a month to march a little more than 100 miles; his strict and suicidal adherence to the rules of military march as conceived them, proclaimed his presence all along his route. The forest was on the same side of the Monongahela River as Braddock’s camp, but there was a narrow pass between the river on the left and a high mountain on the right, about two miles wide. Instead of risking being caught in the pass the plan was to cross the river at a ford directly opposite from the camp, proceed along the west bank of the river five miles and then recross the river and push on to the fort. Washington suggested at this point that the Virginia rangers, who were familiar with Indian fighting and who knew the country, be put forward in advance. Braddock indignantly rejected this as impertinence on the part of an inexperienced militia officer. Early on the 9th of July, Colonel Gage crossed the river with the advances; he was followed by Sir John St Clair with a working force of pioneers of 250 men. A party of Indians attacked Colonel Gage as soon as he crossed, but were put to flight before they accomplished anything. By sunrise the main body turned out in full uniform arrayed more as for a fete than for a battle. About noon they reached the second ford. Gage with the advance was on the opposite shore. When all had crossed there was a halt at Frazier’s Run until Braddock had arranged the order of march. First Gage preceded by guides and engineers and six light horsemen. Then Sir John St Clair and the working party with two six pounders and four flanking parties thrown out on each side. Then Braddock with the main body; the artillery and baggage being preceded and flanked by light horse and squads of infantry. The Virginia and other provincial troops formed the rear guard. About 9 o’clock firing began. The van of the advance had been taken by surprise. All who were not killed were driven back in confusion upon the advance. Gage ordered fixed bayonets and formed his men in battle array. The attacking party, hidden from sight, kept up a steady and destructive fire, accompanied with unearthly yells. The English soldiers were more terrified by these demoniac sounds than by the withering fire. Most of the officers and many men were killed and wounded in a short while. Gage himself was wounded. The advance fell back upon Sir John St Clair’s force, which was much demoralized itself, and made more so by the precipitate retreat of the advance. The cannon belonging to it were deserted. Colonel Burton had come up with reinforcements and was forming them to faced the rising ground upon the right, when both of the advance detachments fell back upon him and put all in disorder. Braddock was now upon the field. He had the colors advanced in different places to separate the men of the two regiments. He ordered the officers to form their men in small divisions and advance with them, but neither threats nor entreaties could induce the soldiers to advance. The Virginia troops, accustomed to Indian fighting, scattered and concealed themselves behind trees, whence they could pick off the luking foes, and thus in some degree protect the regular troops. Washington advised Braddock to follow the same plan with the regulars, but he persuaded in forming them into platoons and they were shot down as fast as they advanced. Such was the confusion of the regulars that they killed several of the Virginians who were doing their best to protect them. The officers behaved with great bravery, going in front of their men and encouraging them to charge. The Indians shot at every man on horseback or who seemed to be an officer, and was consequently the officers suffered severely. Many were shot by their own men who fired with grate rapidity, but with no aim. The soldiers in the front rank were subjected not only to fire of their hidden enemies in front, but also to the fire of their terrified comrades in the rear. Between friend and foe the slaughter was horrible. Braddock still remained in the center of the field hoping to stay his falling fortunes. The Virginia Rangers who had been most efficient in covering his position were nearly all killed or wounded. He secretary, Shirley, was killed by his side. Many of his officers had been slain in his sight and most of his light horse had been killed. Five horses were shot under Braddock. At length a bullet passed through his right arm and lodged in his lungs. He fell from his horse, but was caught by Captain Stewart of the Virginia light horse, who with another American and a servant placed him in the folds of a large silken sash, the ends being fixed to the saddles of two horses moving abreast. This very sash has been kept here in Winchester for many years, and will be shown to you today. [Ed Note: This link researches what happened to Braddock’s Sash. Braddock’s Sash had 3 functions. It was decorative for the uniform. It indicated officer rank. It also was so strong it acted as a stretcher to carry the wounded officer to safety. The rout was now complete. Baggage, stores, artillery — everything was abandoned. Fortunately for the fleeing solders their foe gave up the pursuit to collect the spoils. The shattered army continued its flight after it had crossed the Monongahela. It was shattered indeed; out of 86 officers 26 were killed and 36 wounded. Nearly 700 men of the ranks were killed or wounded. The Virginia troops suffered most. One company was almost wiped out and another, beside great losses in the ranks, lost all its officers, even to its corporals. Almost one hundred men were brough to a halt a quarter of a mile from the river ford. Braddock was here, Dr Craik dressing his wounds and Washington attending him. Braddock had still strength enough to give orders, and seemed to have some hope of holding his ground until reinforced. Most of the men were stationed ina well chosen spot about 200 yards from the road. In less than an hour most of these men had run away. Being thus deserted, Braddock and his officers continued their retreat. He was unable to ride and had to be carried by his soldiers. He was grateful for the attention paid to him by Washington and Captain Stewart, and expressed his admiration for the bravery displayed by the Virginia troops in the battle. He is also said to have apologized to Washington for the petulance with which he rejected his advice. He died on the night July 13th at Great Meadows, the scene of Washington’s defeat the previous year. The obsequies were performed before break of day, Washington reading the burial service because the chaplain had been wounded. Braddock was buried in the middle of the road and the troops and wagons passed over his grave that it might not be discovered by the Indians. His remains were discovered in 1823 when Braddock’s road was being repaired and were reburied nearby beneath some pines where they now rest cared for through an appropriation by the Pennsylvania Legislature. Mischief on the Cannon itself? Find out why there is cement in the muzzle. And find out that maybe 6 June 2016 is significant for reasons other than what the report in the article presented. Winchester Evening Star article of 7 June 1916. In a moment or two there was an awful loud report, second in momentum, it is declared, only to the great guns that belch forth great demons of death and destruction at Verdun. The concussion was so great that scores of the sleepy and tired people of that entire section of the city were aroused. It is said that windows rattled, houses rocked on their foundations and that small crevices appeared in the ground in the immediate vicinity. The greatest damage was done on the premises of Mr. James W Hillyard, the City Hall janitor, who occupies the adjoining property on Braddock street. The concussion had the effect of blowing over his large hen house, in which he keeps some prize-winning chickens. Mr Hillyard’s entire family was greatly unnerved. Strange to say, the old brass cannon in which the charge of dynamite had been placed, did not explode. A report was circulated today that Mayor Ward had offered a reward of $300 for the apprehension of the miscreants, but this rumor was denied by the police. Robert Y Conrad was also at the unveiling of the Confederate Statue. Notice this article mentions Captain G W Kurtz of the Kurtz family who owned Washington’s HQ before it was bought by the City of Winchester in 1908. Winchester Evening Star articles of around May 27 1915 on the Braddock Memorial Celebrated Day have front page headlines on Captain George Washington Kurtz being sick. Background to Captain Kurtz can be found in an article packed with detail on November 18, 2013 By Jerry W. Holsworth in the Winchester Evening Star. This article focuses on Captain Kurtz raising a militia based on Daniel Morgan which joined the Confederacy. The uniforms and artifacts of that militia are shown in photographs. Other articles after this Braddock Memorial Event speak of separate observances for the coming Memorial Day by the Blacks. Harriet Hollingsworth Griffith Ellis, who wrote a diary about service [as a nurse] in Winchester during Civil War and relocated to Melrose, MA circa 1867. She was also active in the temperance and women’s suffrage movements. <– from Handley Library Archives. Voter registration form for Fannie B. Dunlap, Oct 2, 1920. Women were eligible to vote nationwide for the first time in the 1920 elections. <– From Handley Library Archives. February 1915 is when the cornerstone of the Lincoln Monument in Washington DC was laid. It wouldn’t be until 1922 the whole monument was finished and dedicated. Picture of Anti-Saloon League of 1908, on steps of 1840 Frederick County Courthouse on Loudoun Street in Winchester VA.
Picture of women 11 years after this 27 May 1915 Braddock Memorial Event. This link is a photo of a 1926 Apple Blossom Parade Float for Temperance, in a town George Washington famously described as full of Tippling Houses. The above is just to give an idea of the times. More info on 1915 in the 48 states of America. As of this Braddock Memorial unveiling on the date of 27 May 1915, America had not yet entered the war and won’t until another two years. While surreal steampunk Zeppelins floated over England dropped bombs on its towns … there was the beginning of the Gallipoli Campaign between 25 April 1915 to 9 January 1916. Americans had no idea on the day of the little Braddock Memorial in Winchester. And why should they? This emerging world wide war itself was too new to have a name, much less this battle. And then there’s the moral diplomacy of Woodrow Wilson in Mexico. 10 inches of snow fell at Raleigh NC; a record for the month of April. This storm hit Richmond, Va on the 3rd. Richmond, VA had a high temperature for the day of only 37 °F matching the coldest April day on record (records since 1897). The other date with a 37 °F maximum was April 8th, 1972. Ref. See April Weather Map for April 3rd. Southern New England received more snow with 19.4 inches in Philadelphia, Pennsylvania, 17 inches in Trenton, New Jersey, 15 inches in Dover, Delaware, and 10.2 inches at New York City. On The night before this big event Winchester Evening Star has an article noting there was frost . Record minimum temperature for Washington DC. for the date is 42 °F. (Ref. 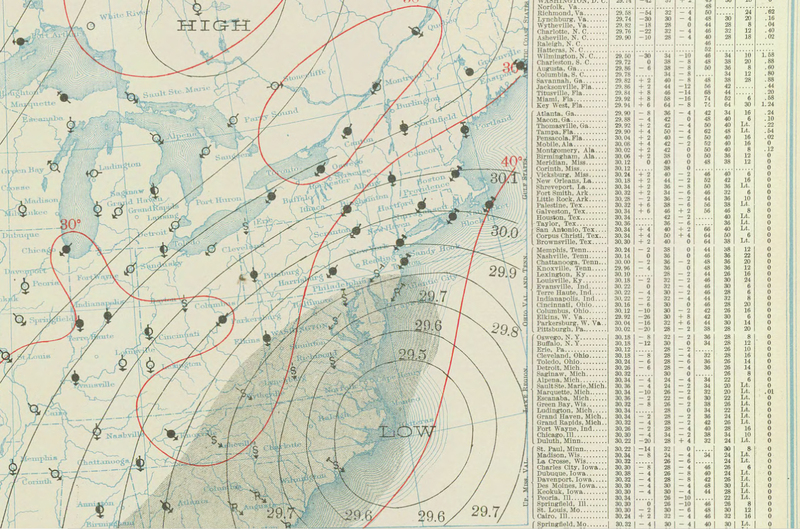 Washington Weather Records – KDCA). See link on Family Background page 620 of HISTORY OF THE Lower Shenandoah Valley Counties of Frederick, Berkeley, Jefferson and Clarke, their early settlement and progress to. the present time geological features ; a description of their historic and interesting localities ; cities, towns and villages ; portraits of some of the prominent men, and biographies of many of the representative citizens. edited by J. E. Norris. illustrated. Chicago, Illinois : a. warner & co., publishers. 1890. This “Washington place” was purchased by the Winchester City government in 1908, based on the coming book of Cartmell. July 17, 1916 A handsome gift model of the Confederate monument that is to be erected in front of the Frederick County Courthouse in Winchester in the near future, has been placed on display by Mr. James B. Russell in the showcase in front of Hable’s store on Main Street, where it is attracting a great deal of attention. The model was received last week by Mr. Russell, but several pieces were broken and the little monument was turned over to Mr. John W. Nail for repairs. Mr. Nail made such a good job of the work, it is exceedingly difficult to see where the breaks occurred. The monument shows the figure of a young Confederate soldier on a base of granite. Robert Y Conrad was also at the unveiling of the Confederate Statue, roughly a year after his Braddock Cannon Memorial speech, November 1916. Another monument unrelated to this particular story except that many of the same celebrants were involved: November 1916 unveiling of Confederate Statue in front of the 1840 Courthouse in Winchester VA.